Hi friends! 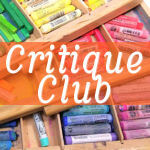 If you have some chalk in your craft stash I encourage you to try this tutorial! You are going to want decorator chalks (they come individually or in a palette like eye-shadow) or chalk pastels, not chalkboard chalk for this technique. You will also need something to apply the chalk with, I used daubers from Darice but I also like to use small white pon-poms, Q-tips or even make-up sponges. If you have tried something else that works let me know in the comments! 1. Stamp image with Versamark ink. 3. Rub with applicator to set. You can wipe off excess chalk with a tissue. You can also use this technique with mica powder too, simply brush it over the clear stamped image with a soft brush and the shiny stuff will stick to the wet ink and leave a pretty shimmy design, it works best on black cardstock. Thanks for stopping by and til next time happy crafting! Edit: Here is the finished painting, it was hard to get a good shot while the painting was still wet so I might update it in a couple of days:) Replay of the tutorial is below:) Have a great weekend! Hi friends! 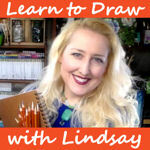 I hope you can join me for a live painting tutorial on YouTube today! I felt like doing something a little different so I created a collage and stenciled background to do an oil painting on top of. Here is the video of the background in case you want to prepare yours the same way. You can watch the live tutorial (or the replay afterwards) of the magnolia flower painting in the player below but if you want to chat with fellow painters or ask me questions live be sure to tune in here on YouTube today at 12:30pm eastern time. 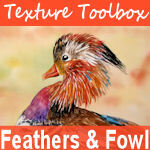 *Acrylic painters, you can use slow dry medium with your acrylics and do this project too! Brushes: Creative Mark Black Swan (synthetic squirrel) *BOGO sale!!!! Other supplies: Cafe Paris Americana Decor stencil: $4.47 at Consumer Crafts, Or $10.65 here. 6″x6″ Specimen Stencil or here. Reference photos: Magnolia tree by Paul Sherman and Sanne at Paint my Photo. I will update this post later today with a photo of the finished painting! Happy crafting! 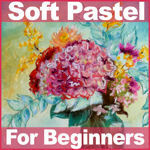 My First Watercolor Course Coming Soon! Hi friends! 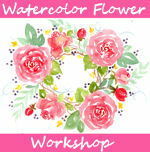 I am excited to announce that I will soon be launching my very first watercolor course! I am about 90% done with it and I think it will fit the needs of many painters. I have been asked countless times if I could make a class that went over all of the essential tools, supplies and techniques a watercolor painter should know to be successful. I wanted the class to demystify watercolor and I want my students to learn the skills of painting so they can paint whatever they choose. I thought that having a foundation element was good but applying the techniques is just as important because it makes the knowledge sink in. That is why I decided to add three full finished painting tutorials in real-time where I can go in-depth with every technique. I even suggest when it would be a good time to take a break so you can come back and see your painting with new eyes! I am finishing up the filming now and hope to launch the class in a week or two. I would love to know what struggles you have as you paint. 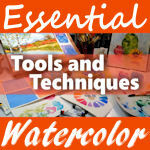 Do you have any questions or confusion when it comes to watercolor? Let me know in the comments below, this way if I see anything I didn’t think of I can post a bonus lesson in my class when it comes out. I want to empower anyone who wants to create. Thank you for all of the encouragement you have given me to finally accomplish this daunting task, I am so glad I did. 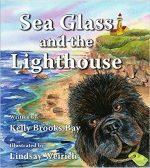 Oh, and if you want to be the first to be notified when the class goes live please sign up for my special events newsletter. Thanks for stopping by and til next time happy crafting! Stamp Giveaway! Heat Embossong Tips & Watercolor Sheets! Stamp School! 5/5/17 Edit: Congrats to Sally Walden who won the stamps! Please check your email for instructions on claiming your prize. Hi friends! Today I have some really fun stuff for you! First, Artneko is giving a lucky winner the stamps I used in today’s card, just leave a comment on this post for a chance to win. I will draw a winner in one week and notify the winner via email. Secondly I am playing with a brand new watercolor product called Viviva watercolor sheets. I was contacted by the designer of these watercolor booklets last year and have used a couple different prototypes and provided feedback and I am really proud of the final booklets they created, you can find out more here. Of course you can use whatever watercolors you already have. We will watercolor over a heat embossed image, it is a great way to get into coloring with watercolor as the heat embossing creates raised partitions for the paint. Don’t worry if you have struggled with heat embossing in the past because I have some tips and tricks in today’s video! Video sponsored by ArtNeko! *Save 10% off your next order of any size or get free shipping on orders over $50 (whichever discount is greater you get!) just by mentioning thefrugalcrafter! Die cut felt: I think this is discontinued but I found a few similar items here and here. 1. Stamp panda scene with black pigment ink on hot press watercolor paper and heat emboss. Touch up any un inked spots with a black embossing pen and re emboss those areas. 2. Use a waterbrush and watercolor sheets to color the scene. Let dry and cut out oval leaving a 1/8″ border. 3. Emboss a 4.5″x6.5″ panel of white cardstock and brayer ink on top from a Kaleidacolor inkpad. Mount to a 4.75″x6.75″ black card. 4. Adhere die cut felt to embossed panel or wrap ribbon or string around the panel or glue down a lacy die cut for a similar effect. 5. Attach stamped panel with foam tape, stamp sentiment on black, cut out and adhere that too with foam tape. 6. Attach brads in the corners and adhere this panel to a 5″x7″ card using ATG adhesive or double stick tape. I hope you enjoyed this tutorial and I hope it really helped beginners learn how to get really good heat embossed images. Thanks so much for stopping by and til next time happy crafting! Alcohol Ink Techniques on YUPO! Hi friends! Today I have a really fun project using alcohol ink on YUPO paper! You can use either liquid alcohol ink or alcohol ink markers (BTW the sale links to snag the 24 packs of Spectrum Nior markers are now working! You can get the four original 24 marker packs for $20 each and the two NEW 24 marker packs for $24 each and there are NO Duplication between any of the 24 or 6 packs sets so you can build your collections budget allows.) Thanks to everyone letting me know there was a problem with the links yesterday and being so patient while it was resolved:) You are the best! If you don’t have YUPO paper don’t despair! You can use vellum/parchment (modern vellum is not really vellum, it is a plasticized paper) you can also use glossy cardstock for a similar effect or if you are feeling brave try this on any light-colored non porous surface like tile coasters or white dominoes. Watch the video for full instruction! Ranger Archival Ink: Consumer crafts $4.27 a standard size pad, SSS $5.99 a pad but they also offer minis and sets, Amazon *Note, the ancient page ink I used in the video is the same kind of ink as ranger archival. I looked for these inks and the only place I found therm were really expensive on amazon, I think they are discontinued so I recommend getting Ranger Archival because you can get reinkers and they are more affordable. I hope you enjoy experimenting with alcohol ink on yupo paper, if you don’t have Yupo try whatever glossy paper you have or even acetate sheets or vellum. Art is all about experimenting and having fun so make some time for arts and crafts today! 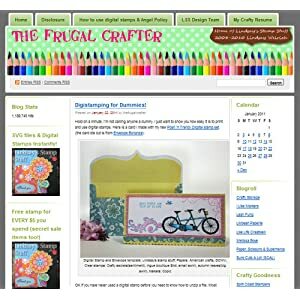 This post contains affiliate links, when you shop via my special discount links you help support the free content on my channel and get great deals, thank you and happy crafting! SALE! Spectrum Noir Marker 24 packs $20-$24! Hi friends! I just wanted to pop in really quick and share a deal this week at Consumer Crafts, all Spectrum Noir Alcohol Marker 24 packs are on sale, the 4 original sets are $20 a pack and the two NEW releases are $24 a pack. That’s $1 or less per double ended marker. There is no duplication between any of the 24 or 6 marker sets so you can build your collection as your budget allows. I am excited to get the two new color packs because I have all of the others. Also today they have 15% off site wide on non sale items so you can stock upon embossing folders, dies, paper, paint and more at additional savings! 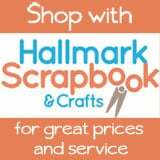 Consumer Crafts also has free USA shipping on orders of $75 or more so you can really save a bundle with the marker sale, 15% off non-sale supplies and free shipping. It’s a great time to stock up! Disclosure: By shopping via my special discount links you are helping support the free tutorials on my blog and YouTube channel while getting a great deal and I thank you for your support! Thanks for stopping by and til next time happy crafting! Scene building &Faux Metal Effect With Inks! Hi friends! Today’s card combines two of my favorite stamping techniques; scene building and inking. It is amazing what you can do with white cardstock and ink, see how to make this card in today’s tutorial! This video is sponsored by Rubber Stamp Tapestry! 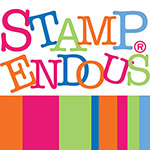 Use coupon code: LINDSAY17 – 20% off peg stamps and peg stamp sets on orders of $10 or more. Coupon expires July 3, 2017. 1. Make a sheet of faux metal paper but combining inks and water as I did in the video. I used distress oxide inks in shades of blue-green and brown as well as metallic acrylic paint. Let dry. 2. Stamp wheelbarrow, milk can and watering can on the metal paper and set aside to dry. Stamp the same images on white cardstock where you want them to be on the final card. Remember scale when you do this to make sure the scene looks right. 3. Use an ink blending brush and distress oxide inks to color the bottom of the card green and the top blue. Sponge in more green ink under the stamped objects. 4. Stamp flowers and leaves over the cans and wheelbarrow, make sure to overlap the stamped containers. 5. Use markers to color the wheelbarrow wheel and legs and add grasses around the containers as well. 6. Cut out the faux metal containers and glue them over the stamped ones on the cardstock. 7. Wrap twine around the bottom of the card and tie on the inside. 8. Stamp “thank you” on a die cut banner and glue to the card with a button. I hope you try out these fun techniques and save the scraps because you can use them when you need another metal embellishment, this faux metal looks amazing embossed too! Have a great weekend and til next time happy crafting!